I have to say, the quality of this site is rapidly declining. Declining? Then we have nowhere to go but up! My fancy. U can tikkl it. 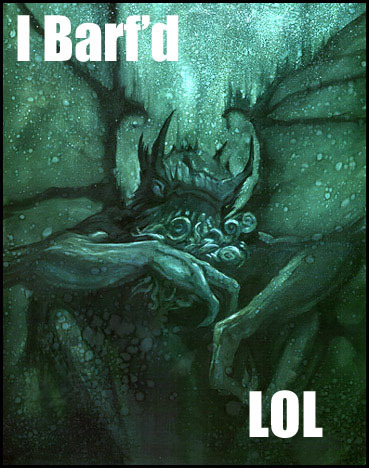 Aww, poor Cthulhu! I’ll call the school, you can’t go in like this. Then I’ll make some nice mint tea to settle your tummy. You go back to bed now and try to get a few eons of sleep.